WASHINGTON (Sputnik) – A US federal judge on Monday declined Russian national Maria Butina's request to be released from jail until the time of her trial on charges of acting as an agent for a foreign government. US District Judge Tanya Chutkan ruled that Butina must remain in jail pending trial. She also imposed a media gag order, meaning that all parties are barred from making public comments on the case. The next hearing has been scheduled for November 13. Butina has pleaded not guilty to the charges against her. Moreover, a US federal judge on Monday issued a media gag order barring Russian citizen Maria Butina's lawyer from making any public comments on her case as she awaits trial on charges of acting as a foreign agent. "Such dissemination of information does not allow us to gather a non-biased jury," US District Judge Tanya Chutkan said at a status conference. Butina, 29, was arrested in Washington, DC in mid-July on suspicion of acting as an agent for a foreign government. She has denied the accusations. Now Butina, who faces up to 15 years in jail, is detained at a prison in the US city of Alexandria, Virginia. 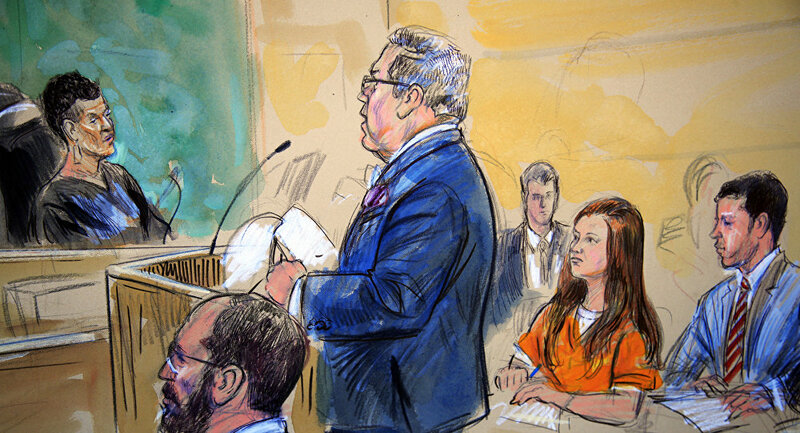 On August 24, Butina’s lawyer Robert Driscoll asked the court to change the preventive measure for his client to house arrest. US prosecutors have warned Butina’s lawyer that they may seek a gag order if he will not stop talking about the case in the media. They accused Driscoll of multiple violations of rules by making statements to the press. The lawyer asked a judge to deny this request. The Russian Foreign Ministry has called Butina's ongoing detention unacceptable. The Russian Embassy in the United States has said that the young woman was experiencing psychological pressure in prison, including frequent nighttime checks, strip searches and denial of medical care. Butina has graduated from American University in Washington DC with a Master’s Degree in International Relations and was a highly visible political activist. She became heavily involved in American politics including her strong support for the pro-gun rights movement and extreme conservative religious causes. The fact that a foreign national was directly interfering in American domestic politics to promote fringe controversial and polarizing positions that the majority of Americans do not embrace caught the attention of US authorities. Butina's lawyer stressed that his client came to the United States as a student and had no professional relationship with high-profile Russian lawmaker Aleksandr Torshin, as prosecutors claim. Driscoll also argued in the filing that US authorities have tried to stretch the law by claiming that if a foreign student makes contacts with people in her native country, she must therefore be an "agent" for this country.